In a day and age where sin, confusion and lack of grace and truth abounds - I pray for Your Holy Spirit's help in these matters as we need Your help all the more. Yet, You oh Lord call us to both in love. As imperfect as we - Your church is, please help us to have the wisdom to know how to apply Your grace and truth in love. You've called us to The Great Commission making disciples of all nations... (Matthew 28:16-20) but we can't do that without grace, truth and love! Help us to never gloss over or reject Your truth. Help us to never gloss over or reject Your grace. Help us to be balanced in grace and truth in all things as Jesus came full of Your Grace and Truth. (John 1:14)...so ought we grow in grace and truth. When we swing too far in focusing only on the truth - I ask that Your Word and Holy Spirit remind us of and help us apply grace - Your grace. When we swing too far in focusing only on grace - I ask that Your Word and Holy Spirit remind us of and help us apply the truth - Your truth. Help us to not tear one another down. Help us to somehow respect and love one another as you've called us to love throughout the scriptures. Please help us bear and represent Your name rightly. 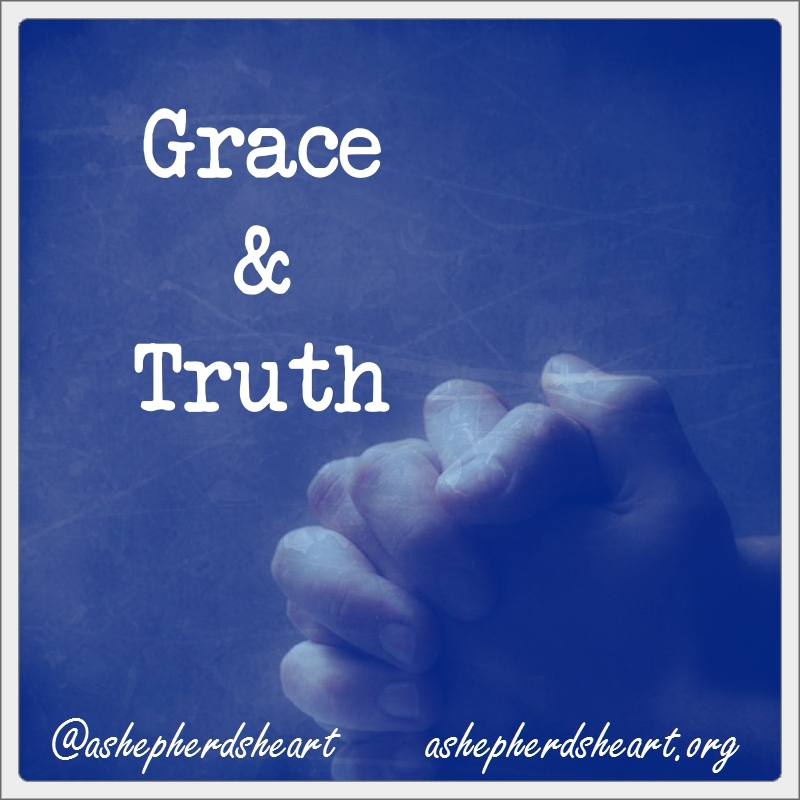 Please help us to have the wisdom to know how and when to effectively apply both grace and truth. I'm glad You have the answers Lord as we sure don't and we get so many things wrong so I ask that You help us cling to you and seek You in all things because we definitely cannot do this on our own as we'll continue to fail miserably without You! I praise You and Thank You for Who You are! I praise You and thank You for Your Word! I praise You and Thank You for Your Holy Spirit! I praise You and thank You for Jesus Christ! I praise You and Thank You for salvation and the relationship we can have with Jesus! I praise You and Thank You for the gift of prayer! In Jesus Name I Praise You and Thank You, Amen!